What would -you- like to see? Hello players and fellow forum-goers! There is a great many things that goes into volunteering on Imperian, things that I do every day and check on and observe, but we also can take on projects as well. I have been pondering my next one, and instead of choosing myself, I was curious what exactly -you- all would like to see? I have had a few ideas all throughout the year that I have not acted on yet because of many variables like life, and other projects and so forth. Do you all think it would be fun to revamp another existing area? Would you prefer a new area? Would you prefer new, interesting minigames? Would you like an open pvp area where you fight over an objective? I want to hear your thoughts before I make any decisions! Be my muse. Nothing is too crazy. Crazy can be good! Let me know in the comments below. Lets talk about what you all want to see! If this goes well, I will make another thread with a poll so we can vote on the ones that pique my interest. I'll reiterate something I brought up a while back(I think someone acknowledged it would happen eventually, but pretty much just waved it off for the immediate future). Imperian would really, really benefit from having satisfying feeling daily quests. Things that net a solid amount of gold once per day, or gave lessons to younger players. Gladiator tickets randomly or something? This could even be looped into a system like caravans or shardfalls. The lessons part is a really big must to me, because having some amount of lessons to be earned after Lvl 100(which comes rather easily here compared to Achaea) would help to stimulate the mid-tier population that the game has been so bereft of lately. PvE only dailies(in addition to PvP ones like caravans/shardfalls) in particular would help to retain some of the non-pvp crowd that helps make the world feel more lively and immersive. It would be pretty sweet if various factions (cities, sects, etc) could customize their own daily quests, within certain limits, which would be available to most or all players. While on the subject of bashing, bashing xp attached to the shrine system DID work to promote inter-sect conflict for a while, but eventually all sects involved got tired of dealing with it. While this was briefly interesting, it has had the negative impact of making areas other than those heavily shrined(DP, Necropolis) significantly less appealing for power bashers. I don't know if the answer is to just remove/significantly-reduce the xp bonus or something else, but if you can encourage spreading apart many bashing areas rather than concentrating in one(and encourage it with something more than just the implicit negative impact on mob-availability that comes with overcrowding), you would probably have a significant means of improving retention in a demographic you presently have a hard time keeping(talking about mid-tier people again). Wyvern/wyrm hunting. I'd imagine not -all- wyrms could be tamed, and maybe not all hunters could stay sane in their wyvern form (run amok, power goes to their head, go 'full wyvern' so to speak). There's a few wyvern hide type artifacts and while i haven't explored much of Imperian (working on that), asking around with some of the older players tells me they don't exist outside of skills. Frankly i'd just like an excuse to go dragon hunting, it's the pinnacle of fantasy gaming to me. Areas where certain races would have an advantage. It already kind of exists with some of the racial powers, but more areas like that would be neat. Tons of forests for those with racial powers to regenerate faster in those areas, water races regen better in fire but i'd be cool with - no pun intended - more areas the fire races would have advantages in. I'm aware the ablaze room regen thing was removed because it was apparently hilariously overpowered. But i mean... i'm on fire. Being set on fire should be like dumping water on a lamira, shocking to see but literally water off a duck's back, i tried disabling the ablaze affliction: bad idea as it turned out (end tangent). Even if it's just favored race quest access in certain areas, that too would be neat. I'd like to see an update to houses. A few ideas that come to mind are..
Bank - Allows for withdrawl and depositing gold into the house bank. No cost to withdraw. Preservation - Has shelves like a shop to preserve items. Mini-Generator - Holds shards that can be taken out for later use. Profession Rooms - Such as Tree_Room, Hatchery, Workshop, Conjuring_Room. Guard - Prevents people phased from entering the room. An update to maid/butler that when someone knocks on the door the maid will tell you and be able to open the door for them. Allow god spheres to be put on display in the house. 3, 5) Toxin preservation sort of counts as a profession room, so lumping these together: Something we'll discuss and consider. No promises, as they're currently intended to be org provided. Haven't really thought about adding a tutor, but that starts to lean a bit too far towards houses as miniature orgs (I'm a little wary of profession rooms for the same reason). Hm. That may be possible. Ultimately we'd like to set up a better system for showing off things you have within your house. This would include vanity items like the god spheres, as well as things like better ways to show off vanity pets and familiars. It isn't at the top of our list, but it's something we've thought about a few times. Not going to comment on Dragons (because mentioning dragons makes @Jeremy angry ) but I will say that I really like this as a concept. We'll definitely keep it in mind with future development. EDIT: Oh, and there IS a hunting area with wyrms already. No wyverns except in underworld though. Shops already have the ability of no decay. But i feel quite silly storing everything I don't want to decay in my shop storerooms when I could instead have a place in my house to store it. Open world PvP zones in general would be nice. Area A with a few open pk points that can be controlled for a bashing bonus inside of the area, or Area B whole open PK area with mobs that have higher than normal rewards for their, or Area C where people can just smash heads at the behest of some gold-flinging benefactor's amusement. Anything like that. Aside from making the necessary adjustments to the city shard instance (the cray resists and such), maybe add in a red shard portal to it that starts up an epic boss battle that can scale up to whatever pop is online. On the subject of dailies, I always thought they should be given to guilds, but no reason cities shouldn't have them as well. Customizable with some city/guild input on the first iteration would be the way to go, though, so it's possibly a metric alot. Edit: And if you're taking housing ideas, stationary card tables would be a splendiferous add-on. To touch on Gjarrus' note about the figurine quests... I'm probably in the minority here, but I honestly don't mind doing it - it doesn't take that long, and I've done the quest so many times now that it's pretty well entrenched in muscle memory. That said, what I do dislike is the CD when someone else has done the quest before you (srsly, shut it and let me help you, Villiam >( ). Aaand then there's having to be the figurine slave driver pestering the town governors, since I can't get one for any other town than my own. I'd much rather be able to turn them in regardless of town affiliation. I take art commissions on request! Visit my website for commission info and more art! I really have enjoyed reading all the comments in this thread. I hope you guys keep it up, as I will be checking on it constantly. There is a design philosophy that I have taken this entire time, that is at least my own personal design philosophy, and that is trying to give you all multiple ways to do things. 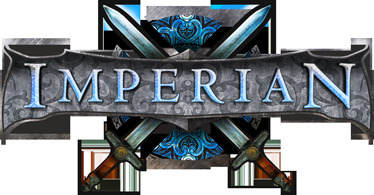 One thing I used to hear a lot when I was playing Imperian was people wanting to have multiple paths to doing things, choose your own adventure sort of thing. I get that you guys don't like linear/on rails. Sometimes you do though. To that end, I have been thinking of perhaps making a set of dailies/weekly quests that everyone can contribute to in various ways. For example, an area that has some sort of conflict that can be contributed towards being resolved by having people gather things, or hunt things, but also having a way to contribute the same points by doing PVP in a certain part of the area(open pvp, ala Starfalls), and also having some puzzle quests that contribute points, and when the set amount of points are contributed by everyone for a week, a random encounter amongst a pool of many random encounters happens, and if you help solve that, you get a good reward. That's the sort of content I would enjoy, but the point of this thread is for me to see if you all enjoy that as well. Me throwing this particular idea out there too does not mean I'm not interested in the other things written in the thread(I'm all about fixing things and changing things within my scope of being able to change). Could always use that hidden school in Caanae. Have a Ye Olde Rap Battle of Valedictory, featuring scholars going head-to-head against each other trying to prove the dominance and effectiveness of their favorite pet theories, throwing their gold around at passers-by to fetch them supplies and undermine their opponents. You, Bull. Her Laboratory, China Shop. Bonus points: institute an area affinity system. Lots of NPCs want stuff done, but they all belong to a few groups that are contentious. Shamans vs Magi vs Alchemists, for example. As you quest for someone in one group, you gain affinity towards that group and lose it for others, increasing rewards and quest opportunities with the positive affinity while reducing the same with the others. Slowly, over a long period of time, players become factionalized in their questing and the available quests become more confrontational. Eventually some day in the future one faction wins and all sufficiently aligned players for that faction receive a suh-weeeeeeet mostly-rp arti. Portal Coins could really use some love. For one token you buy a 1h trip to an instance that feels really underwhelming. From my experience using the zombie coin as an aspect i felt about 0 challenge. The mobs in the place didn't have a singular target i could attack so I had to switch between two targets(undead and spirit) and funny enough wouldn't be attacked by Zombies...even the bog zombies there... The gold drops were 8 gold on each mob and in an area with about 50 rooms felt like a fairly empty. Even the prize at the end was just the regular drops you would get from killing a boss. To be honest the only reason people actually do them is for the achievements. An idea that Tikal and I had was to turn them into wave areas, where the further through the waves you got the bigger your prize would be. Turning it more into a contest to see how far down the wave list you can get before the hour is up. I'm gonna give this thread 24 more hours from now, and then wrap it up and get to work on some things based on the feedback of this thread. So if you have something to suggest or say, please do so. Thanks everyone! So, I don't know if anybody can see my posts yet, but since there's 24 hours left I'm gonna post anyways. What I would really like to see are some bashing areas that can actually pose a threat to a high-level high-geared character. 1) Shrines have increased DPS by so much that all high level bashing areas have effective mobile health decreased by a bit more than 50%. The two of those things combine with the high crit rates of aspect level players and the prevalence of multi-hit attacks that carry over(DSL, Monks, Berserkers, Bards, Mages, Rangazons) to make a bashing environment where the high-end players just blenderize everything and nothing poses a threat. In Aetolia and Achaea, my endgame level characters are still threatened by high-end bashing areas and can still die, despite a decent investment into tanking gear. In Imperian I am pretty sure I could have run an autobasher 24 hours a day on Khizan without ever encountering a serious problem, aside from the the danger of failing an autobashing check. It is incredibly boring and nothing poses a threat. Even the boss fights have become pretty trivialized, largely due to the fact that many of them can be trivially overcome with "attack target1|attack target2" spam tactics to completely negate the need to pay attention and switch targets. This is made even worse by the fact that most of the bosses are in DP or Necropolis and their effective health is heavily reduced by the shrine boost to damage. I really think the game could do with some challenging high-end bashing areas that force players to actually pay attention to what they're doing. It would be nice to have some regular PvP income, possibly in the form of city dailies like "Participate in 5 shardfall kills" or "Turn in a city enemy head" or whatever. A shard turnin for gold would be similar with the cap switched from the daily hard cap to a soft one based on the number of shards generated. While PvP isn't too expensive, the opportunity cost makes PvP less attractive when you go from generating tons of gold and belief while bashing to going slightly negative on gold from commodity use in exchange for PK XP and the objective. "Roleplay experience". Bioware games have some great examples of how to implement this. Read a bit of in-game lore, spend some time inspecting a notable object, have a funny conversation, etc., and you'll possibly get a bit of XP the first time. You could even reward custom emotes around X number of people every so often to encourage group interaction, or add it to crafting things for trying a new food/interacting with a crafted object somehow. Any of that takes at least as much effort as ATTACK TARGET. Make 'look blah full' the default and add a config option to go from that to the shorter version. Add a verb list to items on their probe, unless it's flagged as hidden, or a catch-all USE that inspects it for the way to use it/acts like the item form of GREET. Guess the Syntax is the worst game. Mob reactions could use some love. Controlling when and how the reactions go off is a pain, and there isn't even a timed option. An on entry reaction at even 1% chance becomes grating when walking around, especially if people are in your group. I think things like "Turn in a city enemy head" are cool, for example, because that isn't turning PvP into a checkbox to be ticked off. If there could be some more things like that I am all for it, but I think it's really, really important to avoid turning PvP into a checkbox. Here's why. Players can actually already make some of these things happen, too, if they really wanted to (but I hope they don't). Where player orgs (in Aetolia for example) have given considerable financial rewards and/or guaranteed city favours for "show up to blah number of fights", what I have seen happen is, it incentivizes people to just show up no matter what if they want to tick that box and get the rewards - no matter if your team was already whomping the other side (or, ESPECIALLY if your team was already whomping the other side). So it tends to help create lots of situations where people just "show up, get credit for standing around, no way in hell enemy is coming unless they have an equal shitton of people on". So in the end, it didn't seem to so much "encourage pvp" as it "encouraged people to stand around with thumb up ****". The other really bad thing about it was, the guys who do have a sense of "I shouldn't drag my **** to an already horribly lopsided fight" ingrained into them end up getting the short end of the stick. Because the people who get rewarded in these systems are the people who basically ignore the combat leaders when they tactfully try to say "we've got this one". And you're going to have a hard time being a hardass about "please don't come" if you have a system like that, because you are also going to legitimately worry about squashing enthusiasm for PK in your own circle. So while I have always, always been for removing stupid, punitive barriers to PvP, I think it actually pays to be really, really careful and thoughtful about incentives. "Show up" is a bad reward basis. Otherwise, too much participation is far better than too low participation, whether it's cause they genuinely just want to brawl or if they want to 'check a box'. The issues of weird teamplay and likely lopsided numbers are an entirely different beast than getting people to participate. In any case, I appreciate all the feedback in this thread. I will use it to figure out what my next move is. I hope you enjoy what becomes of my smooth moves. Until then, thanks again!